At Sixty North we aren’t just another corporation getting between you and your food. 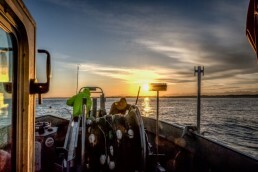 We’re a team of experienced and dedicated fishermen, combining our talents and expertise to bring you the best of the best premium wild Alaskan seafood. All three founders grew up in multi-generational fishing families and have been selling their own harvest direct to consumers for years. We take pride in fishing sustainably and are committed to ocean stewardship. Each fish is handled with the utmost care and respect, and each delivery includes the fisherman’s bio and the story of the catch. John D. Wiese is an Alaskan resident raised in Cordova, AK. Growing up, he fished on his family’s seine, gill net, and oyster farm operations in Prince William Sound and Copper River Flats. He lives the great Alaskan life of fishing and hunting, and currently runs a gillnet boat out of Cordova, AK. 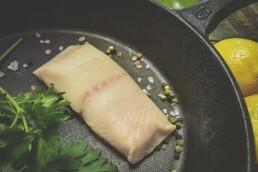 He brings years of expertise, gained while perfecting his handling techniques and developing his own brand Copper River Fresh, which delivers premium fresh seafoods direct to chefs and premium wholesale markets. Sena Wheeler’s family has been fishing in Alaska for three generations. As a teenager she spent summers fishing on her Dad’s boat, the Alrita. She later earned degrees in Nutrition and Food Science, and worked in quality assurance for a major food company. She and her husband Rich have spent the last five years building Sena Sea Seafoods, perfecting their handling, product line, and customer service to bring Rich’s premium wild Alaskan fish direct to consumers. Rich Wheeler has been an Alaska fisherman for over 20 years. He married into Sena’s fishing family and never looked back. 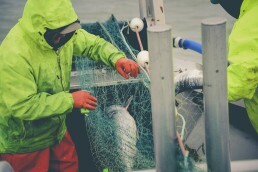 He longlines in the spring and fall and runs a small gillnet boat out of Cordova, AK in the summer. Rich brings his family out on the boat as often as possible, passing on the tradition of sustainable and respectful fishing. Rich and John started Sixty North to benefit their fellow fishermen as well as the town of Cordova.  Sixty North Seafoods will buy and process wild Alaskan fish, custom process and direct market, as well as empower other fishermen to do the same with their catch. 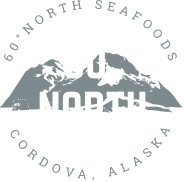 In addition to providing custom processing for fellow Cordova fishermen, Sixty North houses the Copper River Fresh and Sena Sea premium brands. That means Copper River Fresh will continue to deliver the highest quality fresh Copper River chinook, sockeye and Coho direct to chefs and premium fish markets in select cities across the country, and Sena Sea will continue to deliver premium quality frozen, and value-added Copper River sockeye, halibut, black-cod direct to consumer. We take pride in providing the best fish possible to the people who want it. That means we are going above and beyond to ensure quality, sustainability and traceability. You simply can’t find that anywhere else. What happens when you mix the best fish in the world with an expert team, and state-of-the-art custom processing? We like to think it’s the perfect recipe for bringing you the Best of the Best.